You don’t need a scalpel or invasive surgery to lift your eyes all you need is a little determination and 10 minutes a day to practice Face Pilates! It is said that your eyes are the windows to your soul. Our eyes are also one of the first places we notice ageing, tiredness and illness. The skin around your eyes is some of the thinnest on your body. It is very sensitive to UV rays, temperature, dehydration and chemicals that you find in face creams. Believe it or not we spend billions, yes billions, a year on eye creams and it seems from the research we might as well be using good old Vaseline (petroleum jelly) rather than wasting our hard earned money on topical eye creams that might not work. 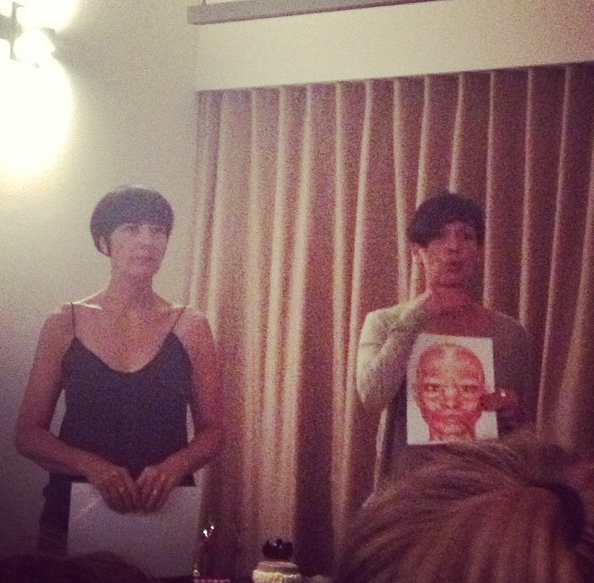 What we do know is that Face Pilates does work, and it doesn’t cost anything but time and commitment! Our Eye Lifting Routine will take you less than 10 minutes to do and you will see the results in one week! Welcome to our Studio Australia Barcelona virtual Advent Calendar! Yes, Christmas is just around the corner! 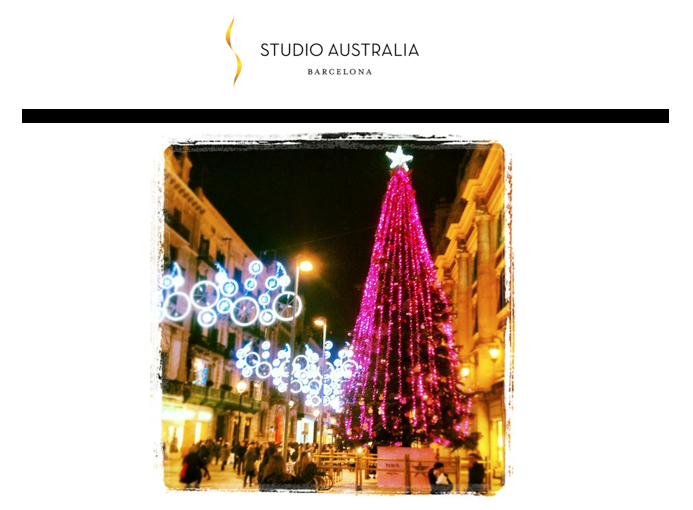 As we head into the month of December, Studio Australia Barcelona is going to count down the 25 days to Christmas with you all! Each day we are going to share our good will and happy tidings with fun and interesting posts on Facebook, Twitter, Pinterest, Instagram, LinkedIn and our Face Pilates and Detox From Home websites. If you are not connected with us on any of these platforms go to www.studioaustraliabarcelona.com and join the fun! In our Christmas stocking we have lots to share with you! Our healthy and alternative holiday recipes, Nat’s favourite Christmas carols, ways to keep fit during this time of indulgence, our Student of the Month and…..PRESENTS! Here’s what our stocking has inside! Nat’s 2013 Christmas Album – we will need an address for this gift as it will need to be send via post! Please allow 21 days for delivery. Wellicious Clothing – also to be sent via post! Keep checking our social media to see what outfit we choose! Please allow 21 days for delivery. An ‘online’ Metabolic Typing Consultation Package– for our followers not in Barcelona – conditions apply. An Introductory Pilates Package – available only to those of our followers who are able to come to Studio Australia Barcelona Studio to redeem – conditions apply. Alex Carro Natural Skincare Range Foot Balm and Foot Scrub – to be sent via post! Please allow 21 days for delivery. To be eligible for our give-aways, please ensure that you like us on Facebook and comment, like and share our posts. The more you engage and share, the better chances you have! ¡25 días hasta la Navidad! ¡Sí, la Navidad está a la vuelta de la esquina! Como entramos en el mes de diciembre, Studio Australia Barcelona contará atrás los 25 días con vosotros! ¡Bienvenidos al Calendario de Adviento de Studio Australia Barcelona! 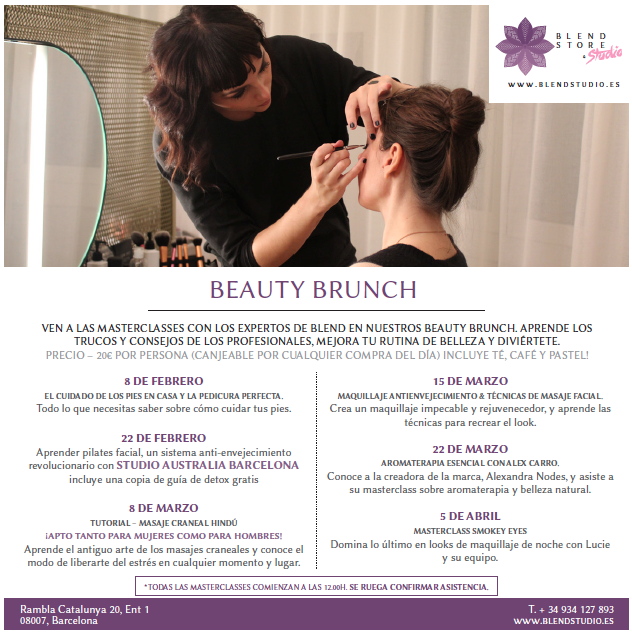 Cada día compartiremos nuestra buena voluntad y buenas nuevas con unas publicaciones divertidas e interesantes en Facebook, Twitter, Pinterest, Instagram, Linkedin y nuestras páginas web de Pilates Facial y Desintoxicación desde Casa. 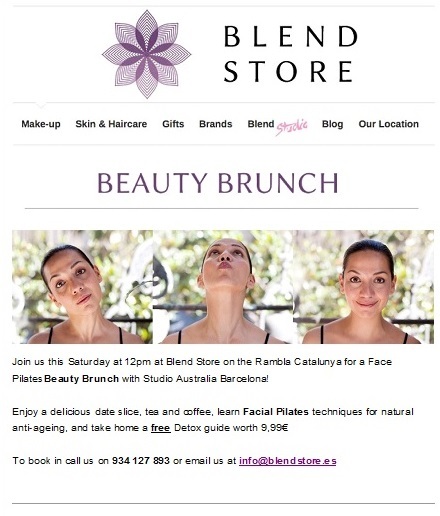 Si todavía no estás conectado a alguna de estas plataformas, puedes unirte a través de la página webwww.studioaustraliabarcelona.com para divertirte con nosotros. ¡En nuestro Calcetín Navideño, tenemos mucho para compartir contigo! Nuestras recetas sanas y alternativas para las fiestas, los villancicos favoritos de Nat, unas maneras de mantenerte en forma durante esta temporada de indulgencia, nuestro Estudiante del Mes, sorteos y….¡REGALOS! para ti y para tus amigos. El disco de Navidad 2013 de Natalia – necesitaremos una dirección para enviar este regalo por correo postal. La entrega puede tardar 21 días. Un paquete online de Tipología Metabólica – para nuestros seguidores que no viven en Barcelona– se aplican condiciones. Un paquete Introductorio de Pilates– disponible solo para nuestros seguidores que pueden venir a Studio Australia Barcelona para canjearlo – se aplican condiciones. Bálsamo de Pie y Exfoliante de Pie de la gama de cuidado de piel de Alex Carro – ¡enviado por correos! La entrega puede tardar 21 días. Para poder participar en nuestros sorteos, por favor asegúrate que pones “me gusta” en nuestra página de Facebook y haz comentarios y comparte nuestras publicaciones. ¡Cuanto más participes y compartas, más probabilidades tendrás de ganar! ¡La cuenta atrás empieza mañana!